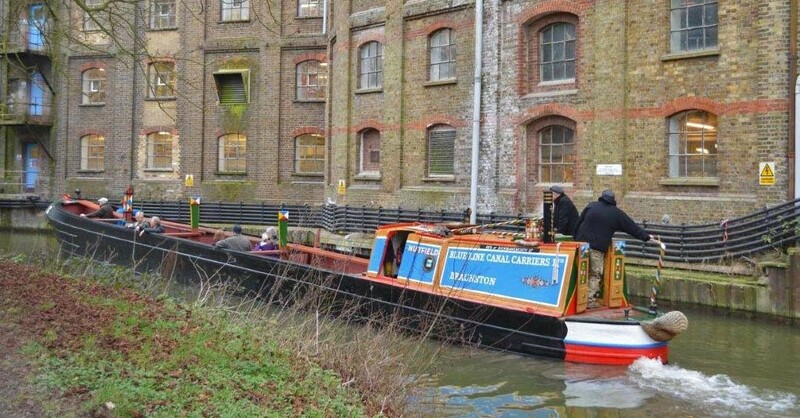 On Sunday 19th February our motor boat Nutfield carried a small party of Wendover Arm Trust members on the three-mile round trip from Bulbourne Junction to the present limit of navigation and back. While Raymond has been getting a new cabin in the dry dock at Marsworth Top Lock, Nutfield has become a familiar sight tied alongside the wharf at Bulbourne. Although the work on Raymond is now finished the boats are stuck there until the stoppage at Stoke Bruerne ends in mid-March. But as things have turned out, it has offered the chance for an unexpected adventure. 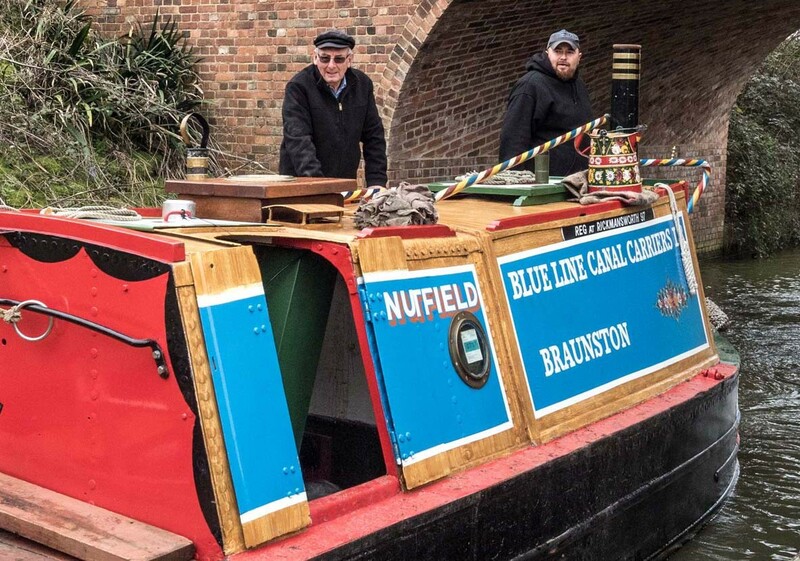 Nutfield needs regular runs during the winter so the boats being at Bulbourne presented a golden opportunity to give the engine a workout on the Wendover Arm – something we would never normally have time for as we hurry past on our annual journeys to and from the Rickmansworth Festival. 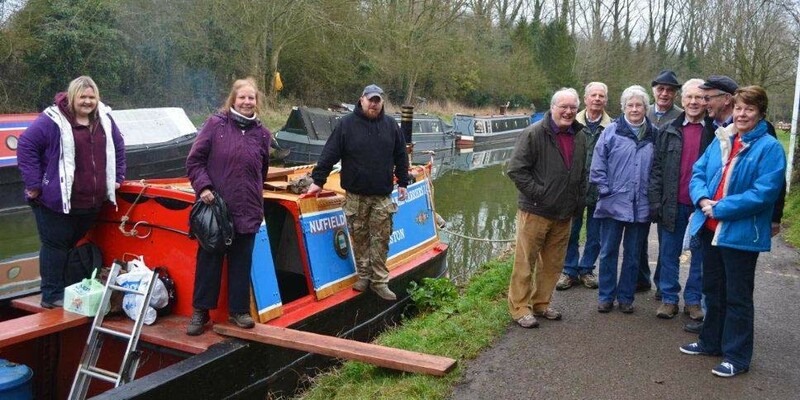 With the help of FoR members Roger and Diana Golder who are also members of the Wendover Arm Trust a number of WAT members were invited to come along, an offer they were delighted to accept as a working boat in full trim is not an everyday sight on their stretch of canal. We believe British Waterways stored Nutfield in the Wendover Arm for a time in the 1960s before leasing it to Blue Line, but it is quite likely that the boat never had cause to navigate the arm on any other occasion. So this was something of a voyage of discovery. And the first thing Nutfield discovered on entering the arm soon after 9 o’clock on Sunday morning was that the bottom is a little too near the top – a situation not helped by the level on the Tring Summit being well below maximum. But apart from ploughing a deep furrow, Nutfield made steady progress with FoR Boat Manager Nick Scarcliffe at the tiller and the trip passed off without mishap. 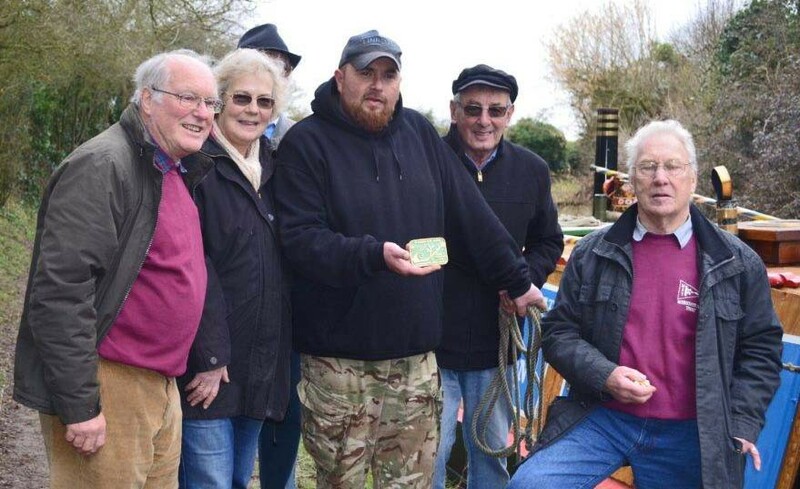 Back at Bulbourne WAT Chairman Chris Sargeant awarded Nutfield the Wendover Arm Trust’s plaque for successfully navigating the arm and thanked The Friends of Raymond for giving them the opportunity to take part in it. 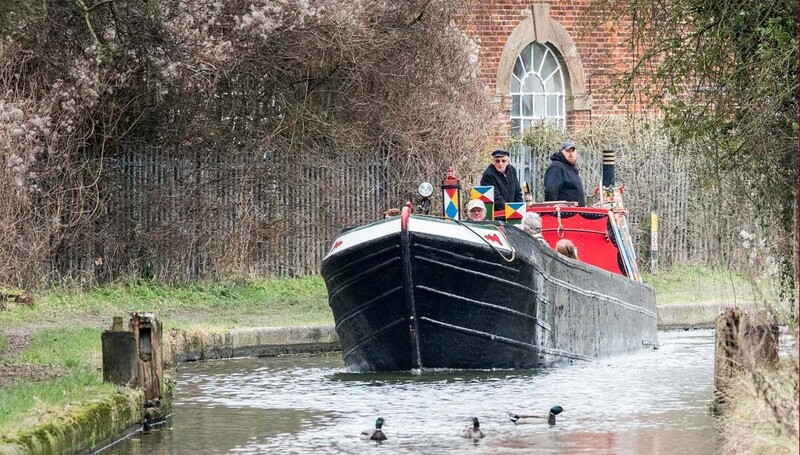 “It was a brilliant chance to experience a trip in an original working boat with an expert skipper on a challenging, winding stretch of canal,” he said. The trip was a great success for The Friends of Raymond too as it was not only a chance to boldly go right to the limit of the restored section where Nutfield has certainly never gone before but it also allowed us to make new friends in the Wendover Arm Trust and forge a relationship with a like-minded organisation that we hope can be maintained to the benefit all in the future.